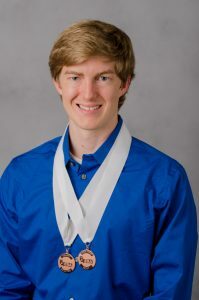 Chase Frazier, RMR, CRR, CRC, started out as a captioner, although his mother and brother, both already court reporters, were in the legal arena. Some recent graduates find going into captioning right away to be a good first step in their careers rather than spending time freelancing or interviewing for open officialships. The JCR Weekly asked Frazier to offer some thoughts on what is different if you plan to consider this option yourself. What made you decide to go into captioning right out of school? My realtime in school was exceptional for still being in school. I was realtiming qualifier-level tests for California while still in school. (The California realtime test presents four-voice 200 wpm for ten minutes.) Also, my teacher was kind enough to let me take normal tests as realtime tests. I would immediately email her my test while still in class, and she would print it at home and grade it. Getting that kind of feedback made me love realtime and love the challenge of trying to get every test even more perfect than the last. I still, to this day, try to get each captioning session better than my last. What kind of equipment did you need to get to start out? I needed my captioning software, a professional machine, and a modem. I was fortunate to have my parents give me the professional software and a professional machine as a graduation present. Did you get any additional training before you started captioning? I didn’t have any training. I researched on my own how to caption TV, the equipment needed, and what tweaks I needed to do to my dictionary. I googled captioning agencies and sent them all an email to try to work for them. None of them responded, except one. But that’s all I needed! The one that responded vetted me by watching me caption to live news for 30 minutes a day for about a week. After that week, they said that I was good to go live and caption news. What was challenging for you the first few times you captioned? What did you do to overcome that challenge? Getting over my nerves was hard for me. It took me a week or two to not be nervous the first few minutes of the broadcast. What advice would you offer to someone who wants to start captioning from school? I wouldn’t recommend intensely working on your realtime while in school. Focus on your speed. Your realtime will come with speed. If you can write 200, try to realtime a 160. There are a lot of tricks to improve your realtime. Also, you don’t have to write out to caption. You can write however you want and have perfect realtime for TV. Just make sure to also have a strong group of prefixes and suffixes. People on TV make up words all the time. If you want to get your realtime up to par, find a captioner and see if he or she will help you and watch you write once or twice a week. You can share your screen on Skype, and the captioner can watch you write to news. Have that person tell you everything that you can do to improve your realtime. It’s going to be damaging to your ego, but it’s great for your writing. Chase Frazier, RMR, CRR, CRC, is a captioner in Murrieta, Calif. He can be reached at chaselfrazier@gmail.com. The JCR reached out to Marvin with eight questions to get to know her a little better. What is your favorite thing about doing remote captioning? My favorite thing about doing remote captioning is the fact that I can stay at home and have a flexible schedule that allows me to get my kids to school and their after-school activities. What is the most interesting thing you’ve learned while captioning for college classes? I have learned that there are an enormous amount of biology terms that can be pronounced several different ways. I learn something new in that class every single day. What is your most memorable moment from court reporting school? My most memorable moment from court reporting school was probably when I passed my first 225 test. School was a long, hard road, and that was a very exhilarating experience. What was the biggest challenge you’ve overcome so far as a working professional, and how did you do so? One of my biggest challenges is numbers and fingerspelling. Practicing, along with writing a statistics course and fingerspelling pop-up biology terms, has made me a better overall writer. What do you always include in your “elevator pitch” when you tell people what you do for a living? I tell them I do CART, which most people aren’t familiar with. So then I tell them that it’s captioning what the professor says for students who are deaf and hard of hearing. I also make sure to tell them how there are many more people needed in the field, so if they know anyone who may be interested to let them know about it. What is your favorite benefit of being an NCRA member? My favorite benefit of being an NCRA member is reading JCRs and the great wealth of information that is included in them as well as being able to list my certifications on my résumé. … had to put so much research and prep into doing a good job. What is your dream reporting or captioning assignment? I would love to caption somewhere locally so people can see and understand what I do for a living. Haven’t renewed yet? Members can take advantage of Black Friday discounts and giveaways, including purchase of membership renewals. Mark your calendars for Nov. 24. 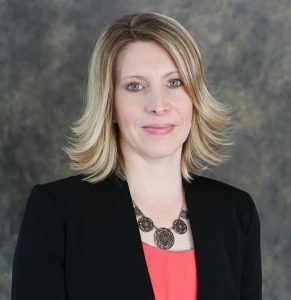 The Observer-Reporter, Washington, Pa., posted a press release on June 17 announcing that NCRA member Amanda Lundberg, RPR, CRC, recently has earned the nationally recognized Certified Realtime Captioner certification. The press release was issued by NCRA on behalf of Lundberg. Have you been practicing your local news, talk shows, and sports? I hope so and that you are still interested in becoming a captioner. Let’s talk about the costs associated with becoming a captioner. If you think you’d like to become an independent contractor, as opposed to an employee, you will likely incur the expenses of upgrading to captioning software, installing two land lines, and being sure you have reliable Internet. Some employers provide all of the equipment. Some provide everything except steno machines. Employees who work at home must also have reliable Internet. Your next step should be to seek training. If you are going to be an independent contractor, I recommend attending a boot camp or working with a personal trainer. Some companies provide training, and you can find boot camps and personal trainers online. If you work with a personal trainer, she or he will review your files and help you attain 98.5 percent accuracy. You may be thinking 98.5 percent means a 1.5 percent untran rate, and that you’re already there. This is not related to your untran rate. Your untran rate thinks that the word humanity translated as “hue man tee” is perfectly acceptable because they are real words. In captioning, it is three errors. Use NCRA’s “What is an Error?” as a guide for grading your files. A general guideline is if you write 3,000 words in a half-hour with 30 errors, it is 99 percent accuracy; 60 errors would be 98 percent accuracy. I hope that you will join the many that have gone before you to find a new, exciting, and rewarding avenue to utilize your skills.